SPECIAL DEAL - Usually 3.99, today just 1.99 - Save £2! Didn't have time to plant bulbs in autumn and now wish you had? Want something cheerful for a windowsill indoors whilst the weather is not so nice outside? Then these are the perfect solution!! They are of course perfect out in the garden and in seasonal patio planters. 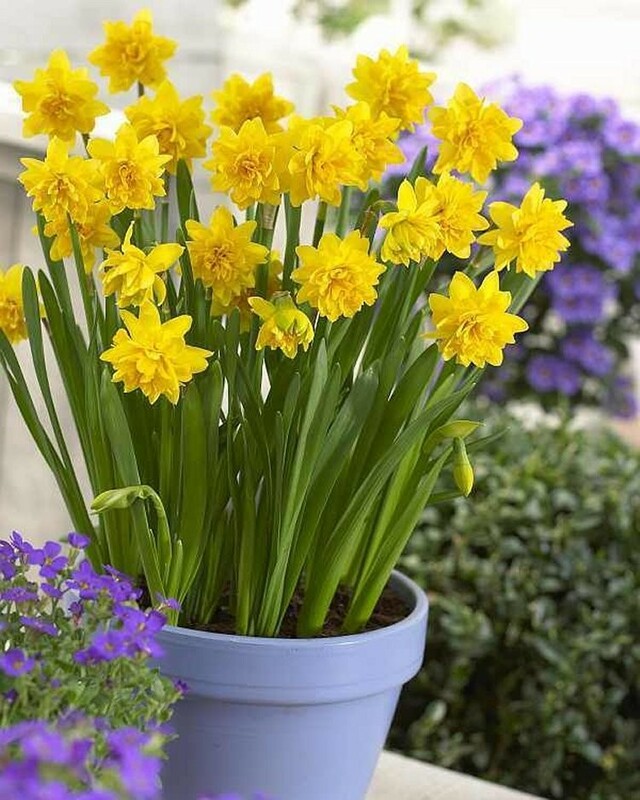 Tete Boucle are a sensational new variety of dwarf daffodils and a sport from the all time favourite Tete a Tete variety that is dwarf and compact so great for smaller gardens, tubs, terraces and window boxes. They can even be grown in pots and bought indoors when in bud to add beauty and fragrance to any room. They do really well in areas where the traditional sized daffodils can be too much, yet Tete Boucle have really sumptuous ruffled double flowers that make an impact. Flowering from around the end of February to April and growing 20-35cm, this variety has also been bred to have multiple flowers for a fantastic display - if you planted a hundred pots of these you could quite literally end up with over a thousand flowers - they're that prolific! Daffodils, also known as Narcissus, are always a favourite, and one of our best sellers, and it's not hard to see why. They are bright and cheery, and easy to grow. 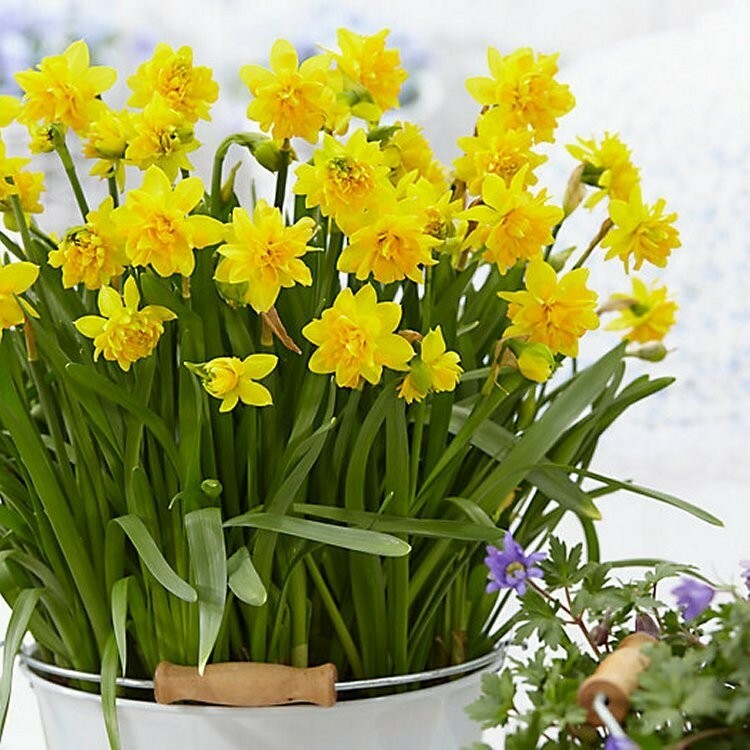 What could be more adorable in the garden than the these 'Tete Boucle' Daffodils? They are early bloomers and look great in garden borders, rock gardens, patio planter and tubs - even hanging baskets! The long lasting flowers are a golden, buttercup yellow and will light up areas which can normally be pretty dull in late winter and early spring. Cutting just a few stems from those growing in the garden to put in a small simple vase can bring joy to an entire room in the house when in bloom or just bring some sunshine indoors with these pots! Supplied as a 9cm pot crammed full with bulbs supplied in bud ready to bloom indoors or in the garden!